January 29, 2019 10:16 am. A last-to-first performance by Tiger Silk last Friday wasn’t enough to convince Richard Collett she is definitely a Group 1 New Zealand Oaks (2400m) contender, but the Pukekohe trainer still has another smart filly on the borderline to get to the Trentham feature. Tiger Silk did well to storm past the highly rated The Chosen One over the final stages of the three-year-old 1400m event at Pukekohe, going to the line comfortably three-quarters of a length ahead. The daughter of All American holds a nomination for the Group 1 Al Basti Equiworld Dubai New Zealand Oaks (2400m) on March 16, as does impressive debut winner Contrary Mary. “They’re both in the same boat timewise,” Collett said. ‘’Putting Tiger Silk up over ground could be awkward, but I’ll make a decision in a week or so. Collett and his wife, Judy, share in racing Tiger Silk, who has amassed a record of three wins and a third from six starts. 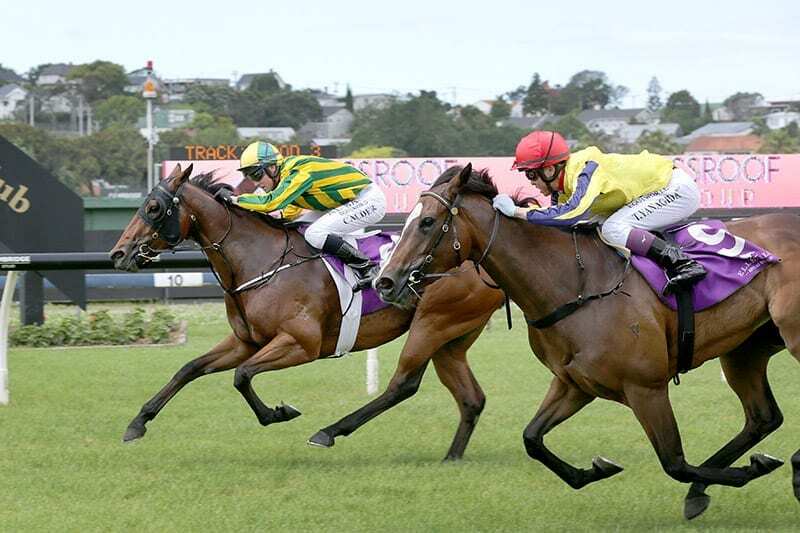 Tiger Silk cleared maiden ranks in her third start, over 1200m at Ruakaka last November, then again powered home to win over 1400m at Ellerslie a month later before tailing the field home in the Listed Uncle Remus Stakes (1400m) at Ellerslie on Boxing Day. “She had a tough run in the Uncle Remus. Things just didn’t work out at all,’’ Collett said. ‘’She is suited better when there is plenty of pressure in a race early and she can settle back and come over the top of them. Though Tiger Silk’s finishing bursts in her wins suggest she should be suited over more ground, most of her pedigree puts some doubt on her ability to handle the 2400m of the New Zealand Oaks. ‘’I think she’ll get a mile later on, but I’m not so sure right now,’’ Collett said. Collett plans to resume Contrary Mary over 1400m at Tauranga on February 6, the Rip Van Winkle filly has been off the scene since her eye-catching debut win over 1200m at Pukekohe on October 26. In that race she was slow away, settled last and charged home wide out to beat It’s Doable, who won at Rotorua recently, while McEdith (a winner at Trentham last Saturday) finished fourth in the same race and fifth-placed Superstatic also followed up with a win. Contrary Mary is a half-sister to Time Lord, who was a winner for Collett and third in the Group 2 Waikato Guineas (2000m) and the Group 2 Valachi Downs Championship Stakes (2000m) and also contested last year’s Group 1 New Zealand Derby (2400m) when ninth. “Being a half-sister to Time Lord suggests she will get over ground,’’ Collett said.